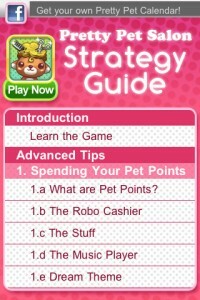 Home Feed Now Available: the Pretty Pet Salon Strategy Guide! 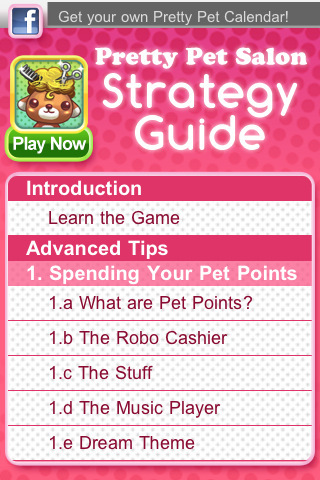 Now Available: the Pretty Pet Salon Strategy Guide! Maintaining your own pet salon isn’t always easy, so now we bring you the Pretty Pet Salon Strategy Guide — your key to becoming a successful pet salon owner! This application offers a comprehensive tutorial, tips and tricks, frequently asked questions and a walkthrough! If you’re new to Pretty Pet Salon, want to improve how you play or would just like to find out more about the game, the Pretty Pet Salon Strategy Guide will surely give you the information that you need. 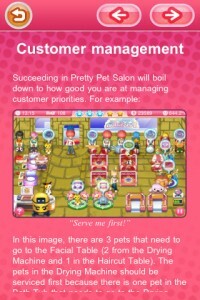 Download this app now and unlock secrets to becoming the most fabulous pet salon owner out there!